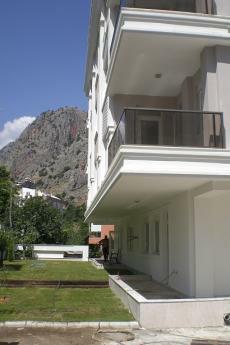 The property is built in Kızılarık region of Antalya. 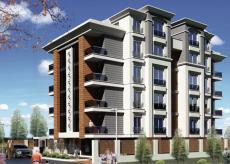 Nowadays Kızılarık is one of the developing regions of Muratpaşa region in Antalya and is popular among property buyers. The location of the compound allows you to be same time close to the city center, Lara and Konyaalti region are at the same distance away. In the neighborhood there are such historical places of interest as Old Town Kaleici, Antalya Clock Tower, Hadrian’s Gate and Markantalya Shopping Mall. Close by the residence there are parks, schools, banks, hospitals, pharmacies, public transportation stops both buses and tramway and markets.